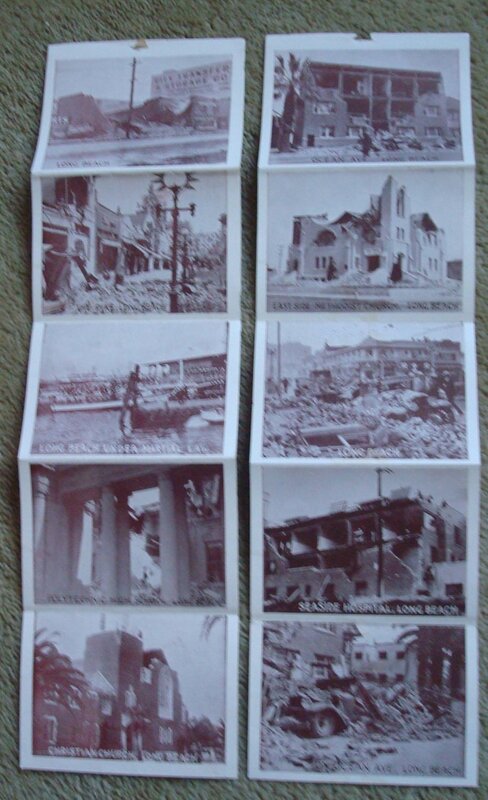 For sale is a group of 15 pictures of the aftermath of the March 10, 1933 earthquake. This batch of pictures shows various views of devastation in Long Beach. The pictures are grouped in three series of five pictures each and were originally stapled at the top with a paper cover. One group plus the paper cover has become detached. The pictures do show some light handling wear and the paper cover has a tear at the top and is creased. Still very interesting views.